Fill out a few simple forms and confirm the job details. You will be contacted in 4 business hours, the cofnirmation email will be sent to you once the cleaner confirms the job. The cleaner will help solving your household issues effectively and efficiently on the cleaning date. Very good attitude and careful service. The maid is very professional, punctual and efficient. She is serious with her work without complaining about working overtime. Thank you HelloToby for finding such a professional maid who is considerate and efficient! I have a cat and it's difficult to find the right maid, but HelloToby did it! Ms. Chan is a responsible and detail-minded home cleaner and helped me a lot in the new year clean-up. She has a positive attitude and arrives on time, which is really good! Your satisfaction is our greatest motivation. Please feel free to contact us for inquiries any time. After the completed service, our customer service personnel will follow up on the service case and review on the quality and experience. We are dedicated to meet your needs by facilitating the seamless connection between the clients and home cleaners. HelloToby will suggest you the best cleaning package that fulfill your needs, according to the condition of your household (i.e. size of your home, number of rooms and preferred service type). Should you have any extra requests during the matching process, please bring it to our attention early on and we will make arrangements to cater your needs. HelloToby has strict guidelines on the maids' service quality and performance. We will provide a set of service procedure guidelines to our customers for quality assurance. Besides, we will also arrange random on-site checks to evaluate the maid's efficiency and ensure the service quality is up to standard. Our job is to ensure the maids are educated and trained professionally, interviews will be conducted for first round of screening before training takes place. HelloToby only hires experienced cleaners or those who have received domestic helper related certification. Also, we will review ratings and feedback from every customer for monthly performance evaluation of each cleaner. Looking for reliable home cleaning services? The home cleaners on HelloToby have been authenticated and reviewed. Not only are they experienced to provide cleaning service in Hong Kong, but they are also sincere and professional. Whether you need cleaning for specific areas (i.e. kitchen, bathroom), or for a specific purpose (i.e. move-in cleaning or post-renovation cleaning), your needs will be taken care of in great hands. Depending on the size of your house, we will arrange you with the best suited maid. So you can hire our Pros without any doubt. Apart from the recommended home cleaners, I'd also like to check the average cost for cleaning! You can click "Buy now" on our webpage to see our service details and rates. Or you could download our mobile app Hellotoby to place your customized request for home cleaning. In no time, you will receive quotations from at most 4 home cleaners. You can pick the Pros according to your preference, and hire the one who suits you most based on his/her quotation or past reviews. Your service requests will be solved by the best solution on our platform. What kind of cleaning can be provided by the maid or cleaning company? Besides home cleaning, they can also provide specialty services such as cleaning new residences, vacant homes, and furniture with extra care. If you wish to hire a cleaning company, they can even provide a wider range of options in terms of home cleaning services on a more standardized and professional level, such as deep cleaning, pest control and fumigation. How to choose between independent cleaners and cleaning companies? How to choose the most suited home cleaning services? The fees for home cleaning are charged on hourly basis. For home cleaning service on a smaller scale, the cost of hiring a part time cleaner is more or less the same as hiring a cleaning company. However, the geographical factors will influence the maid's incentive to travel as well as the cleaning rates. For example, hiring a part time maid who live in Yuen Long to work in Tuen Mun will spike up the hourly rates. 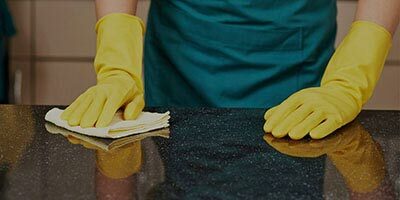 Relatively speaking, the cleaning company is flexible in the sense where they can locate at least 1 worker to different districts for large-scale home cleaning services . Yet, employing the acquainted cleaning helper will give you a sense of security. 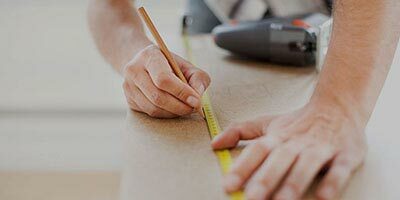 Do I have to purchase Workers' Compensation Insurance for the part time helper? According to Section 40 of the Employees' Compensation Ordinance, all employers (including contractors and sub-contractors) are required to take out insurance policies to cover their liabilities both under the Ordinance and at common law for injuries at work in respect of all their employees, irrespective of the length of employment contract or working hours, full-time or part-time, permanent job or temporary employment. An employer who fails to comply with the Ordinance to secure an insurance cover commits an offense and is liable on conviction to a maximum fine of HK$100,000 and imprisonment for two years. What kind of preparations should be done prior to cleaning? First of all, the homeowner should spare clutters, dirty clothes, rubbish, etc. to elsewhere for the convience of the maid to manage the cleaning process. To avoid any possible thefts, all valuables like jewelry should be locked at the place in which cannot be accessed by the maid. Please kindly store important documents and differentiate from other scrap paper. All pets and plants should be placed properly for the convenience of the part time domestic helpers. Also, the client should notify the maid areas or rooms that are expected to be cleaned and the restricted area(s). Maids may bring their own cleaning detergents, therefore please check for any potential allergies before cleaning. Are you a Home Cleaner? Sign up now for free!